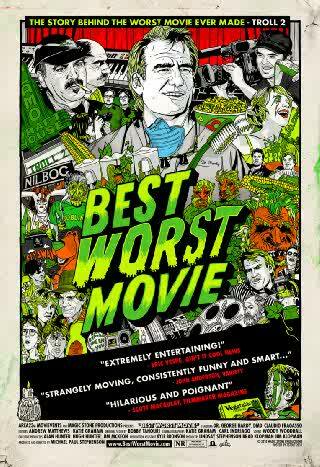 I rented Best Worst Movie, a documentary regarding the cult film Troll 2, with relatively few expectations. I knew that the documentary had been making the rounds on the independent film circuit, and had heard good things about it. I've also seen the film that the documentary revolves around, so I am well aware of the depths of wretchedness to which Troll 2 succumbs. Still, I didn't really know what to make out of a film that was going to attempt to chronicle the story of the worst movie ever made some twenty years after the original film's release. 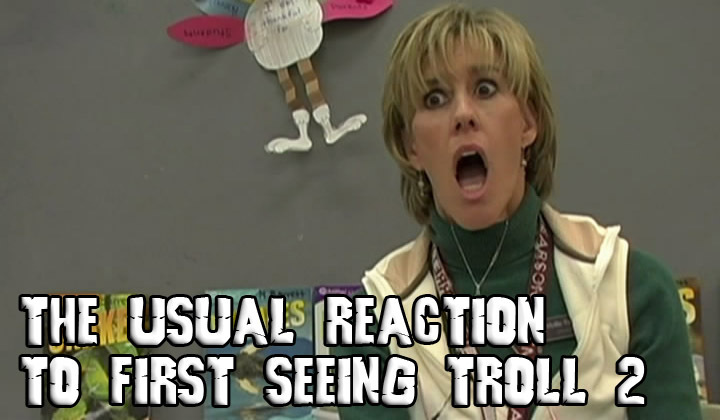 Best Worst Movie is about Troll 2, but it doesn't really chronicle how Troll 2 was made. Yes, there are interviews regarding the atmosphere on set, but these moments sharing behind the scenes anecdotes are not the focal point. 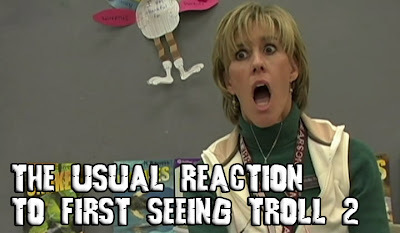 The documentary is really about the fans of Troll 2 and about the cult following that has risen around the film. It is about the idea that somehow this crappy little film from 1990 has managed to pervade the consciousness of pop culture and resonate with its audience in a manner never really intended by those involved in making it. In case it isn't clear yet, I really enjoyed this film. Michael Stephenson is the director of Best Worst Movie and is also the child actor that portrayed Joshua Waits, the main protagonist of Troll 2. Like most of the cast, Michael has spent the majority of his life just trying to forget about the embarrassingly-awful film he starred in. As the years passed and young Michael grew, so did the cult of Troll 2 until it became a sort of living entity that would no longer be ignored. In making Best Worst Movie, Michael Stephenson has faced Troll 2 and owned it, transforming the film from a source of personal embarrassment and into an experience deserving of celebration. Joining Michael on his odyssey to document the strange wonder surrounding the worst film ever made is George Hardy, the actor that portrayed Michael's father in Troll 2. A good portion of the documentary focuses on George Hardy and paints a pleasant picture of this enthusiastic and good-natured dentist from Alabama. George comes off as a genuinely nice guy, one perhaps surprised by the Troll 2 phenomenon but overly-willing to embrace it. The documentary jumps around the country, showing conventions and fan gatherings where throngs of people show up to watch Troll 2 and meet the cast members. George is our ambassador to these moments, clearly thriving on the crowds' reaction to him and his reciting of lines from the film. Whatever your assessment of George Hardy as a person or his prowess as an actor, it is clear that this is a man that loves to perform. Although mostly positive in the tone, there are a few lingering moments of near-heartbreaking poignancy. The director of Troll 2, Claudio Fragasso, although happy for the attention surrounding this nearly-forgotten film clearly has some reservations accepting the film as being the worst ever made. 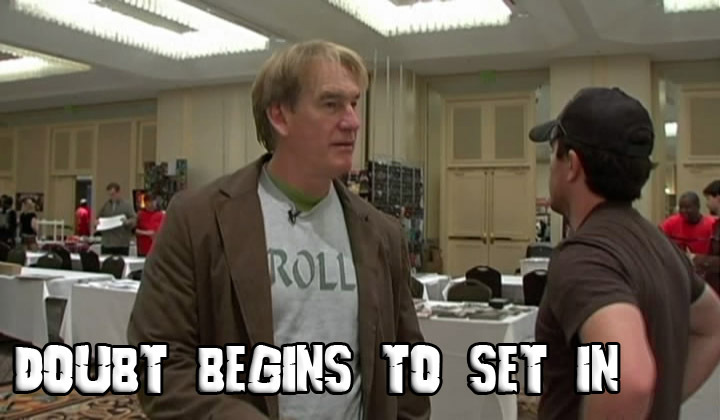 George Hardy also has a moment of self-realization at a horror convention where none of the fans seem to know or like Troll 2. He makes the observation that fans of Troll 2 and fans of horror in general may not have a large degree of overlap. This point is reinforced by George himself over the course of this segment, unable to correctly recall the title of genre heavyweight "A Nightmare on Elm Street" at one point. I've personally spent some time thinking about this over the last few days as I am one of those people that love both horror and B-movies. I'd never really considered that my point of view might be the exception rather than the rule. 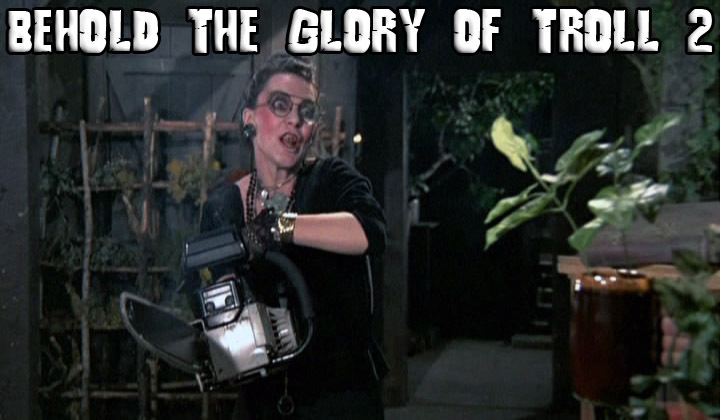 It's clear that the reputation of Troll 2 is one that has grown organically and as a result of a genuine love from B-movie fans. 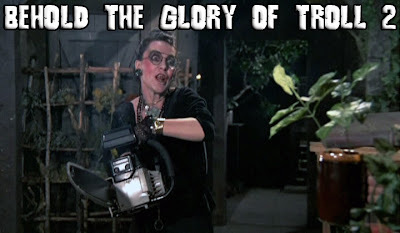 The cast and crew of Troll 2 did not set out to make the film that now exists, but there are some of us that will be forever thankful that things turned out the way they did. I'm glad to see that at least some of the people making these films get as much enjoyment out of them as I do, even if it takes them a decade or two to realize it. The Bottomline: Best Worst Movie is a thoughtful look at both B-movie fandom and the effects of cult followings on those involved in the making of these films. This is a balanced documentary with some thoughtful points to make. If B-movies are a hobby of yours, you'll be as happy as I was to see the genre get a love letter as well made as this. Four Bruces.